It's the most wonderful time of the year to be a TV reviewer ... and a TV shopper. Black Friday and "Big Game" Sunday may get all the attention for the deep discounts you'll often find on televisions, but this is the season when many of the hottest TVs that were first debuted at January's Consumer Electronics Show finally hit store shelves. Those other seasons are great for people who are all about the deal, but for the enthusiast who's all about the tech, now is the time to go shopping. At the very least, treat yourself to some window shopping (be they literal windows or browser windows) to check out the latest and greatest that each manufacturer has to offer. And you know what? There may even be some discounts to be found, as retailers slash prices on last year's latest and greatest to make way for the new stuff. You may just find a great deal on a great TV that has as its only flaw a 2012 production date. • See more original content like this in our Feature News Stories section. 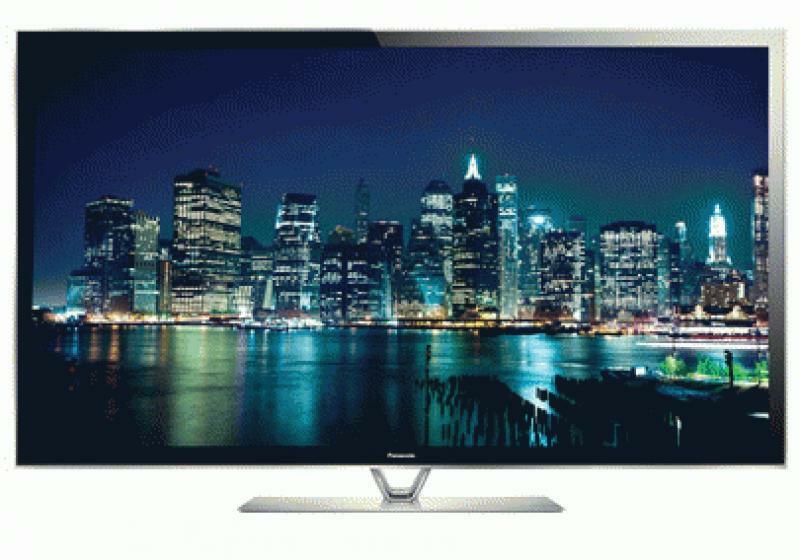 • Find more news in our LCD HDTV, LED HDTV, and Plasma HDTV sections. It's hard to believe that CES is almost six months behind us, and the accompanying hype may not be terribly fresh in your mind. You can always revisit our CES show report, but here's a quick reminder of some of the TVs that intrigued us, most of which are now available for purchase. Samsung turned a lot of heads at CES with its stylish 85-inch UHD TV, and the company turned even more heads when it announced the TV's $40,000 price tag a few months later. We recently had a chance to take a look at this TV, and you can read the review here. In terms of mass-market appeal, the bigger Ultra HD news came in the form of smaller-screen UHD TVs at more realistic, albeit still high, price points. Sony, LG, Sharp, Toshiba, and Hisense all announced UHD sets with sizes ranging from 50 to 70 inches. So far, only Sony's 55-inch XBR-55X900A and 65-inch XBR-65X900A have come to market. (After CES, Seiki introduced the 50-inch SE50UY04 UHD TV for only $1,400, but it has not been particularly well reviewed. Sharp will release its 70-inch AQUOS UHD TV in mid-August for $7,999.99.) As I type this, I'm putting the finishing touches on my review of the XBR-55X900A and, while I don't want to give too much away, let me just say that it does impress in many ways. To be honest, I'm reluctant to wholeheartedly endorse current UHD TVs, not necessarily because they're expensive, but because there are still so many question marks surrounding the format (see our article titled "What to Tell Your Friends When They Ask About Ultra HD?" for more details). Sony is at least the closest to offering a UHD source to go along with its UHD TVs, in the form of the FMP-X1 player. For $700, you get 10 UHD movies, a few other UHD clips, and access to Sony's Video Unlimited 4K subscription service that's supposedly launching in the fall. The FMP-X1 is scheduled to be released this summer and, here's the key, is only compatible with Sony UHD TVs. So, if you want to be an early UHD adopter who can actually watch UHD content in the immediate future, then Sony's UHD TVs are the best option. That is, unless you've built your own UHD-capable computer system or you want to preorder the $1,750 RedRay player, which itself is listed as "coming soon" with no exact date given. If plasma display technology is really singing its swan song, what a song it is! Panasonic and Samsung continue to up their plasma game. This year's ST60, VT60, and ZT60 Series from Panasonic and the F8500 Series from Samsung are already earning rave reviews. Time will tell, but I'd be surprised if you find a better performer for the money than the Panasonic ST60 I recently reviewed, and the VT60 (review coming soon) follows in the footsteps of last year's five-star VT50. Panasonic's ZT Series is probably the most anticipated. We'll be posting our own review soon enough, but CNET's David Katzmaier has already labeled the TC-PZT60 as "the best-performing TV we've ever tested". All three Panasonic plasma series are on sale now. The ZT Series will be sold exclusively at Magnolia locations through the end of July and will then move to wider distribution. Home Theater Review publisher Jerry Del Colliano has a review sample and a review here at HomeTheaterReview.com is pending in the coming weeks. Samsung receives more attention for its LED/LCDs, but the company promised major performance advancements in this year's top-shelf F8500 plasma series. If early reviews are any indication, the promise holds true. For those of you who love plasma's black-level performance, but wish it had more to offer in the way of light output, the Samsung F8500 is purportedly much brighter than the Panasonic models, while still maintaining a very good black level. The Samsung plasma actually won the audience vote at this year's Value Electronics Flat Panel Shootout, while the ZT60 and VT60 won the "experts" vote (but it was extremely close). For those whose hearts are set on a truly big-screen TV (70 inches and above), LED/LCDs are the only way to go, and Vizio has made this category very interesting with the introduction of the M Series. On sale now, the 70-inch M701d carries an MSRP of $2,499.99, while the 80-inch M801d carries an MSRP of $3,999.99. Both panels use edge LED lighting, with Vizio's Smart Dimming local dimming to help improve black level and screen uniformity. It's a pretty sleek-looking design with almost no bezel, and the M Series comes with the full Vizio Internet Apps Web platform, built-in WiFi, and passive 3D capability. 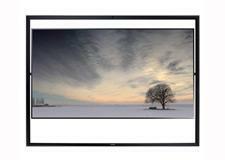 Of course, let's not forget the reigning king of uber-large-screen LCDs: Sharp has introduced a wider variety of new models in screen sizes from 60 to 80 inches. Speaking of Sharp, it looks like there won't be any new Elite LCDs this year, which is disappointing news for videophiles. Sony also hasn't announced a full-array LED follow-up to last year's well-reviewed HX950. Edge LED lighting continues to be the preferred lighting method amongst LCD manufacturers, as it allows for a thin, light form and higher energy efficiency. I was happy to see that Samsung has brought local dimming back to its top-shelf edge-lit LED/LCD line, the F8000. Last year's ES8000 used a form of electronic dimming that ultimately hindered the TV's black level and screen uniformity. I just unboxed my F8000 review sample, so naturally I had to do an immediate dark-scene test. I can happily say that performance in this area is much better than last year's model, but you'll have to wait for my full review to get the rest of the story. Those are just a few of the TVs that we're most excited about right now. Is there a certain TV that has piqued your interest or enthusiasm? Let us know in the comments section below. We want to hear what set you are most likely to audition and/or invest in. What HDTV would you tell your friends to buy? Let us know below.